On a languid midsummer's day in the countryside, old Adam Godley, a renowned theoretical mathematician, is dying. His family gathers at his bedside: his son, young Adam, struggling to maintain his marriage to a radiantly beautiful actress; his nineteen-year-old daughter, Petra, filled with voices and visions as she waits for the inevitable; their stepmother, Ursula, whose relations with the Godley children are strained at best; and Petra's "young man"--very likely more interested in the father than the daughter--who has arrived for a superbly ill-timed visit. But the Godley family is not alone in their vigil. Around them hovers a family of mischievous immortals--among them, Zeus, who has his eye on young Adam's wife; Pan, who has taken the doughy, perspiring form of an old unwelcome acquaintance; and Hermes, who is the genial and omniscient narrator: "We too are petty and vindictive," he tells us, "just like you, when we are put to it." As old Adam's days on earth run down, these unearthly beings start to stir up trouble, to sometimes wildly unintended effect. . . .
Blissfully inventive and playful, rich in psychological insight and sensual detail, "The Infinities" is at once a gloriously earthy romp and a wise look at the terrible, wonderful plight of being human--a dazzling novel from one of the most widely admired and acclaimed writers at work today. 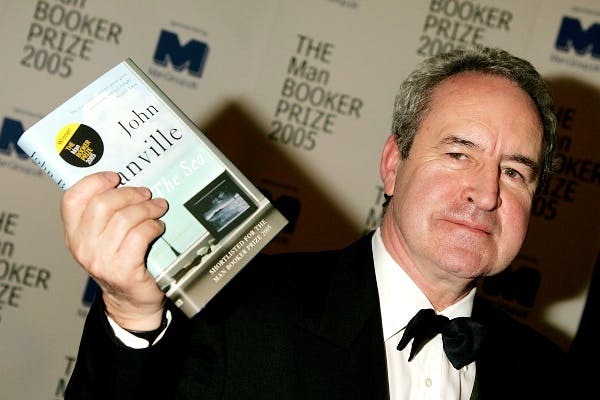 Irish novelist John Banville was born in Wexford in Ireland in 1945. He was educated at a Christian Brothers' school and St Peter's College in Wexford. He worked for Aer Lingus in Dublin, an opportunity that enabled him to travel widely. He was literary editor of the Irish Times between 1988 and 1999. Long Lankin, a collection of short stories, was published in 1970. It was followed by Nightspawn (1971) and Birchwood (1973), both novels. Banville's fictional portrait of the 15th-century Polish astronomer Dr Copernicus (1976) won the James Tait Black Memorial Prize (for fiction) and was the first in a series of books exploring the lives of eminent scientists and scientific ideas. The second novel in the series was about the 16th-century German astronomer Kepler (1981) and won the Guardian Fiction Prize. The Newton Letter: An Interlude (1982), is the story of an academic writing a book about the mathematician Sir Isaac Newton. It was adapted as a film by Channel 4 Television. Mefisto (1986), explores the world of numbers in a reworking of Dr Faustus. The Book of Evidence (1989), which won the Guinness Peat Aviation Book Award and was shortlisted for the Booker Prize for Fiction, Ghosts (1993) and Athena (1995) form a loose trilogy of novels narrated by Freddie Montgomery, a convicted murderer. The central character of Banville's 1997 novel, The Untouchable, Victor Maskell, is based on the art historian and spy Anthony Blunt. Eclipse (2000), is narrated by Alexander Cleave, an actor who has withdrawn to the house where he spent his childhood. Shroud (2002), continues the tale begun in Eclipse and Prague Pictures: Portrait of a City (2003), is a personal evocation of the magical European city. John Banville lives in Dublin. The Sea (2005) won the 2005 Man Booker Prize. In The Sea an elderly art historian loses his wife to cancer and feels compelled to revisit the seaside villa where he spent childhood holidays. His latest novel is The Infinities (2009).